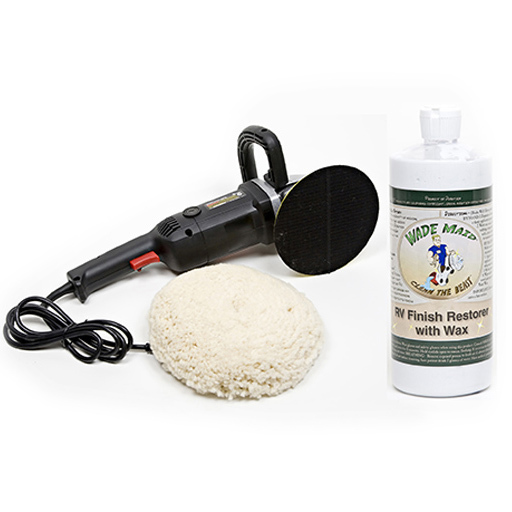 “Spit Shine” Waterless Wash and Wax was created for those times when you are on the go and want to clean your Dirty Beast at a Campground that doesn’t allow you to wash your RV using the traditional hose method for water. The formula is infused with the maximum amount of emulsifiers possible to lift and trap the dirt away from the surface leaving a clean, scratch free, glossy shine. “Spit Shine” Waterless Wash and Wax was created for those times when you are on the go and want to clean your Dirty Beast at a Campground that doesn’t allow you to wash your RV using the traditional hose method for water. The formula is infused with the maximum amount of emulsifiers possible to lift and trap the dirt away from the surface leaving a clean, scratch free, glossy shine. And, while it’s not pretty to look at, it is easy to use and will not scratch your RV. 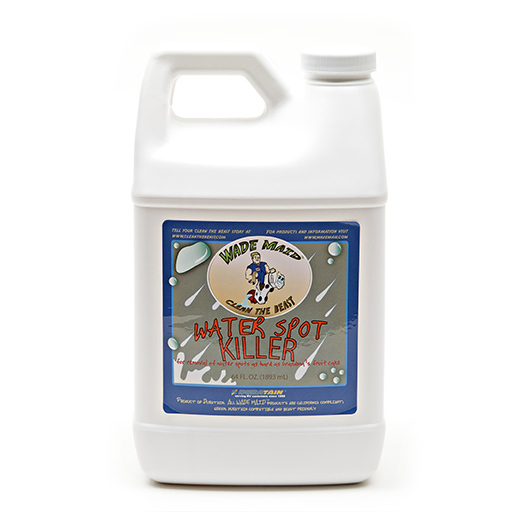 What Does “Spit Shine” Waterless Wash and Wax Do? Thoroughly cleans all surface dirt of your dirty Beast without water or scratching the paint surface. A dry wash and wax that leaves a clean, rich finish. Easy and fast to use. Trigger on – Wipe off. Always keep a bucket of water on hand to rinse the dirt out of your damp cloth or mop. Work a 4’ x 4’ area at a time so you do not waste any product and then move on. For the best results spray onto a dirty RV. Use a damp terrycloth towel or mop to spread product and lift dirt. Next polish to an amazing luster with a large Microfiber towel. Use on plastic, rubber trim and glass for a like-new finish. What Makes “Spit Shine” Waterless Wash and Wax Different? Specially formulated with lifters that pull the dirt off of your RV during cleaning. Some products require you to wash your RV before use! 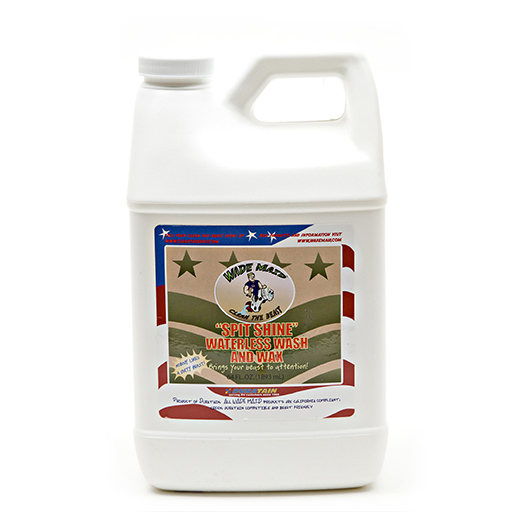 Loaded with emulsifiers that entrap dirt and lift it away ensuring that you will not scratch your paint finish. Spit Shine is in compliance with campground rules. 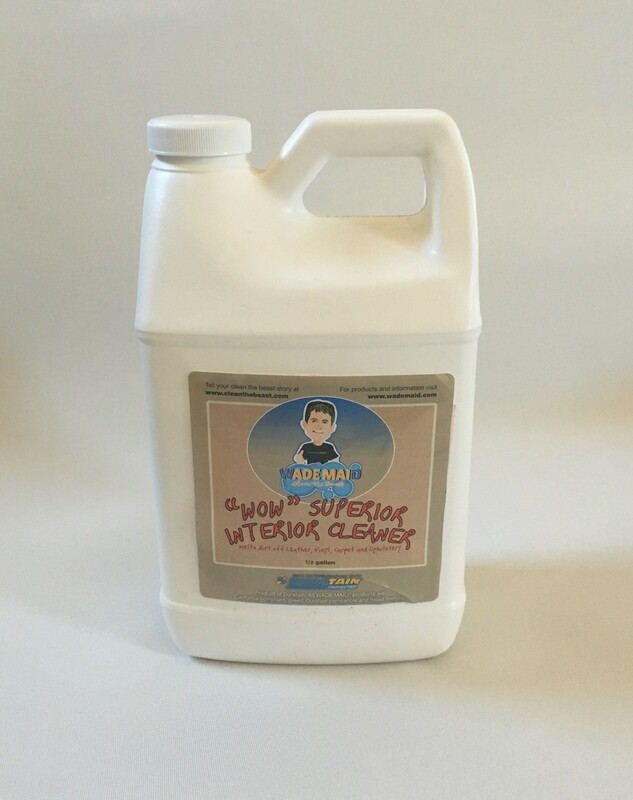 While most products in this category recommend only “dusty” units for cleaning, our formula is a true grit and grime remover! We believe that Wade Maid® products are by far the best because of the specialized formulation specific to RV’s only and no other manufacturer can make this claim.